Mexican Insurance for El Paso Drivers; What You Need! By living in El Paso, Texas, you enjoy easy access to Mexico. You’ve probably been south of the border plenty of times. Any time you drive while you’re south of the border, you need to have valid Mexican insurance El Paso drivers. Many unpleasant things can happen if you drive without Mexican auto insurance for El Paso residents. If you’re deemed to be responsible for an accident, you could owe thousands of dollars. Without Mexican car insurance for El Paso travelers, the cops could technically put you in jail after an accident. That’s why quality Mexican insurance for El Paso Texas drivers is so important. 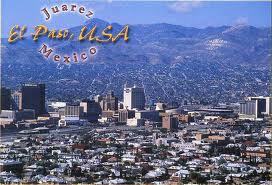 Effective October 1, 2013, Mexican insurance for El Paso drivers is required for all vehicles. The fine is $125.00. It’s not difficult to find Mexican car insurance for El Paso drivers in town, but that doesn’t mean that you should buy it there. It’s also available at the border, but those shacks often couldn’t be sketchier. The best thing to do is to get the Mexican insurance for El Paso drivers you need online. It may seem silly to go online for something that’s readily available in town and at the border, but the truth is that you’ll get a better price, a more transparent transaction and better quality when you do so. Besides, buying Mexican insurance for El Paso drivers online is convenient. Have You Considered Mexican insurance for El Paso drivers Yearly Insurance? Like most El Paso drivers who go to Mexico, you probably get daily Mexican auto insurance for El Paso residents whenever you go. Daily insurance is fine if you rarely go to Mexico, but it can actually cost you a lot more money if you go there regularly. Even if you make a point of buying daily insurance online, it will add up to cost more if you go several times per year. A much better option is to get annual Mexican insurance for El Paso drivers. This type of coverage is also available online, and it can save you a lot of cash. The daily rate for yearly Mexican car insurance for El Paso travelers is remarkably lower than the usual rate for daily insurance. In addition to saving money, you will save time by purchasing annual coverage. You’ll no longer have to go online to buy a new policy every time you head down to Mexico. Sure, buying online is fast and easy. If you have to do it several times in a single month, though, it can get pretty old. With a yearly policy, you’ll be all set on the insurance front for a full year. Mexican Insurance for El Paso Drivers comes with Roadside Assistance FREE of charge. I recommend getting the yearly car insurance if you are travelling to Mexico on a regular basis. This way you will definitely save on your money. Previous post: What’s the Average Price of Mexican Automobile Insurance Coverage? Next post: Check Out Oktoberfest in Tijuana and Don’t Forget A quality Mexican insurance policy!